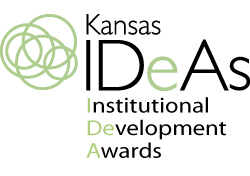 Welcome to the Kansas Institutional Development Award (IDeA) website. I hope you will take some time to look around and learn more about how this national program benefits and promotes biomedical research in Kansas. assists in the recruitment of new faculty. Thank you for taking time to visit this site. We hope you will check back often to learn more about the IDeA program's continued support of Kansas and the promise it holds for improving human health.